When would the Food Runners volunteer arrive and what would he or she bring? The end of the month loomed large with subsistence checks stretched to their limits if not completely spent. Food was in short supply all around at the Union Hotel, a property of the Tenderloin Housing Clinic, a group that manages low income housing properties that are part of the Mayor's Care Not Cash program. The Food Runners delivery on the day before Thanksgiving came as a welcome relief. Rick pushed together the tables in the lobby, Dorothy watched through the front window and Pietra posted the sign up sheet in anticipation. Rick, Dorothy and Pietra comprise the tenant committee appointed to receive and organize Food Runners donations. "I developed a sign up system," reports Pietra pointing to a sheet of paper in her hand filled with names and corresponding room numbers. "It keep things fair and avoids fights. On the days we're expecting a Food Runners delivery, I post a sign up sheet in the lobby at 6:30AM. When the food arrives and is ready for distribution, tenants line up in the order that they signed up. Of course, there are some shut-ins in the building, so I always knock on their doors before the sign up sheet is finalized to see if they need food that day. The system has been working out great. It's really helped create community and cooperation in the building. Sometimes tenants even pool their food and enjoy meals together." 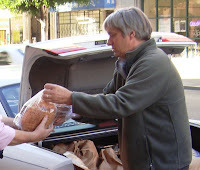 Food Runners volunteer Bill W. pulled up to the curb at 2:30PM, his white Saab riding low from the weight of the load in the trunk. "The food's here," Dorothy announced as Bill stepped out of his car accompanied by his 9 year old son , Ryan, who'd come along to help "bring food to the people." You're never too young to be a Food Runner! Rick, Dorothy and Pietra met Bill curbside as he popped open the trunk to reveal a bounty of sandwiches, deli salads, rolls and other goodies from Suisse Italia Cafe and Max's Market. The trunk was stuffed to capacity as was the back seat. Both Max's and Suisse Italia normally donate on Fridays, but due to the holiday, both had called for a Wednesday pick up instead. Donations on the day before Thanksgiving are typically bounteous since agencies that plan to be closed over the long weekend need to clear their refrigerators. What great good luck for Food Runners' recipients. Pietra, Rick and Dorothy's eyes grew large when that saw the amount and the quality of the food. Together with Bill and his son, they began shuttling the food to the hotel lobby. From under his skateboarders knit cap, a shy smile crept across Ryan's face as he placed bags on the tables to Pietra's repeated "thank yous." 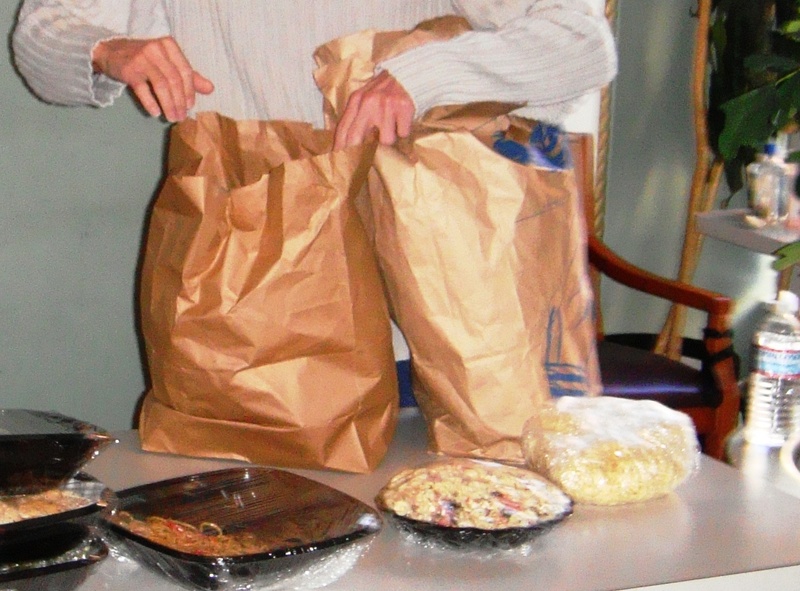 "Food Runners has made such a difference for our building," Rick remarked with a grateful sigh as he looked through the bags. "Food Runners makes it possible for fixed incomes to last a little longer," echoed Pietra. " Sometimes having enough food keeps people from doing things they shouldn't." "Food Runners also provides a chance for people to eat more nutritious types of food than they might buy at the corner store," Rick offered. " I've even seen people expand their palettes because of Food Runners. I worked in the food business for many years and I 'm always encouraging my fellow tenants to try things that come in the donations that they may have never seen before. Even I expanded my palette when I discovered harissa which was used in some of the wraps we got one Saturday. I'm hooked!" Life in San Francisco's low income residence hotels is not easy. The rooms are small, the clientele can be rough and corner stores with their sky high mark-ups often the only places within walking distance to buy food. 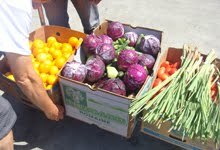 With Food Runners dropping off healthy, nutritious food, life becomes just a little easier, one delivery at a time. 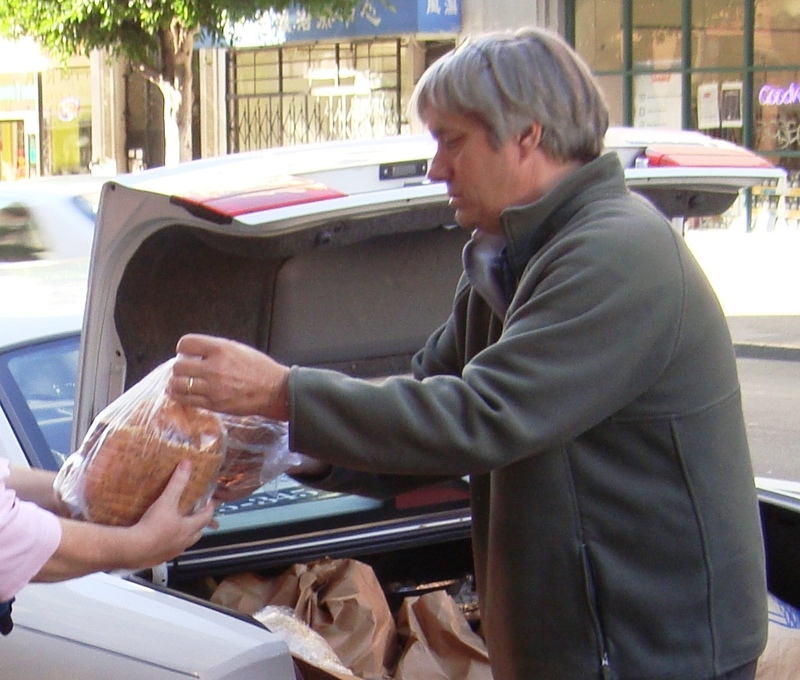 Food Runners picked up and delivered 117,470 pounds of food in the month of November. Volunteers performed 864 runs and the truck did 217. Please welcome November's 10 new donors including the The Box SF and St. Ignatius College Prep among others. Many thanks to sustainable food consultant and sometimes caterer Gabriel Cole for his fabulous donation following an art event at Terra Gallery & Events. 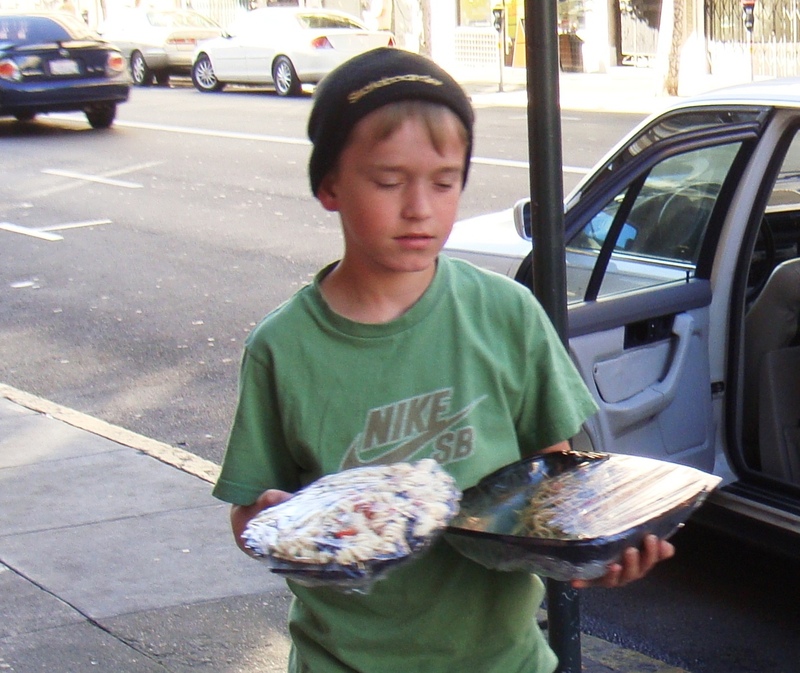 Many thanks as well to Noe Valley Bakery for their great pie donation (60 pies!) that went to Martin DePorres the night before Thanksgiving. The day after Thanksgiving, Buffalo Whole Foods on Castro Street donated 25 fresh turkeys that also went to Martin DePorres who froze them to be used for their Christmas feast. Holiday lights twinkle and champagne glasses tinkle. Holiday season has arrived. The dinners! The parties! The family feasts! If you suspect edible, nutritious food is being thrown away at get-togethers you are attending, tell the restaurant, the caterer, the office manager, your family and your friends about Food Runners. People can't wait to help. Sometimes they just need someone like you to tell them how.